Batman and Harley Quinn Play Arts figures available tomorrow! DC Comics Prestege Format books for sale now. Most just regular cover price! Here is the list of what we are expecting to come in next week Wednesday. Take a look and start a list on what you want to get. New DC 52 Graphic Novels Wonder Woman, Grifter, and Green Arrow. New Green Lantern and Aquaman Figures in stock on Wednesday! We just received this email from DC Comics we thought we should pass along the information. Out of respect for the victims and families in Aurora, Colorado DC Entertainment has made the decision to postpone the release of BATMAN INCORPORATED #3 for one month because the comic contains content that may be perceived as insensitive in light of recent events. We request that retailers do not make this issue available as previously solicited. Its new on sale date is August 22, 2012. Please note that the Digital version of this title will also be postponed. Sorry Batman Inc fans you are going to have to wait for the next issue. Hey everyone just wanted you to know we are getting some of these in the store on Wednesday. 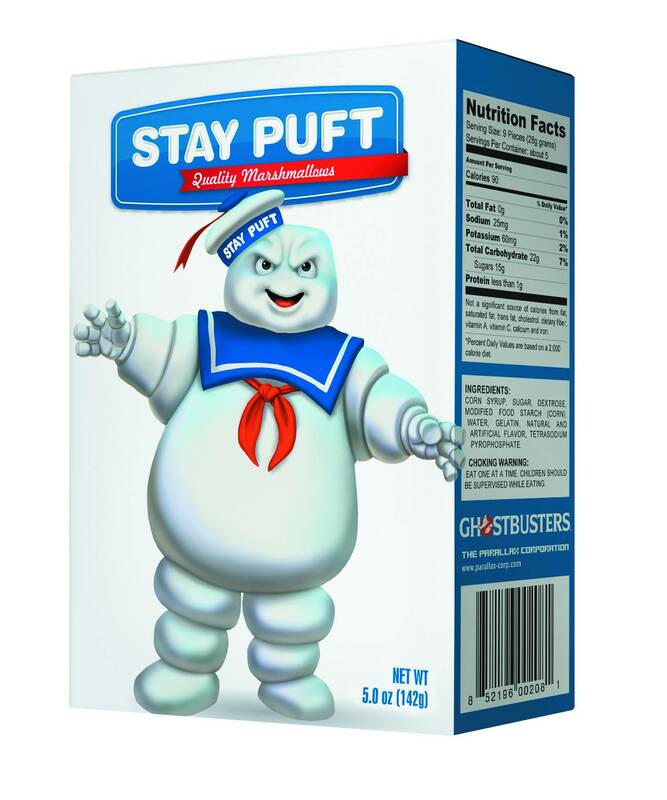 After seeing Ghostbusters way back when who didn’t want to try the Stay Puft brand. Well, now you can. Plus, they have caffeine put into the marshmallow. How cool is that?